What do you know how to do for yourself? What are words you would associate with debt? Some people have a robust, healthy support structure — so healthy that they are almost unaware of it. Others’ support structures are weak, unhealthy, even non-existent, and that lack of support often puts them at risk. We want to develop a clearer understanding of how our support structures are created and maintained, and how we might then work to build more resilient and robust support structures in the future. We also want to break the mythology of bootstrapping that is so prevalent today and so embedded in the dominant narrative of our culture. 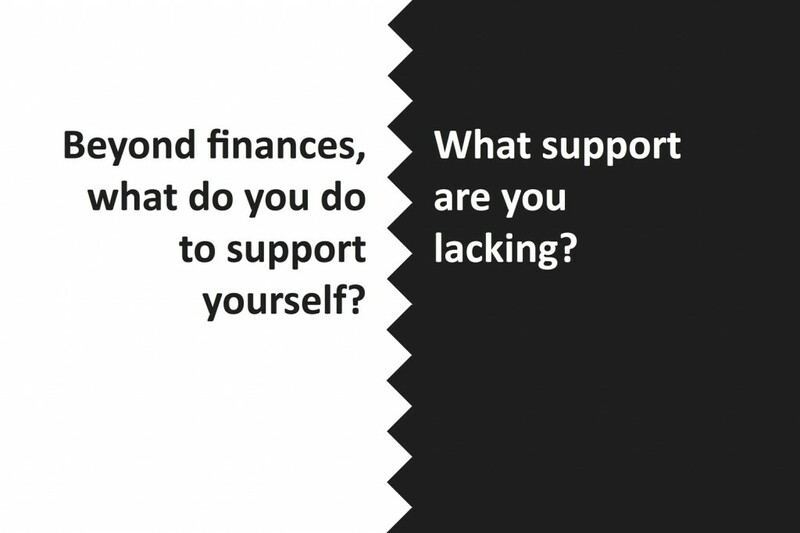 Based on our recent research and thinking, we have developed a survey which explores support structures—both personal and institutional. 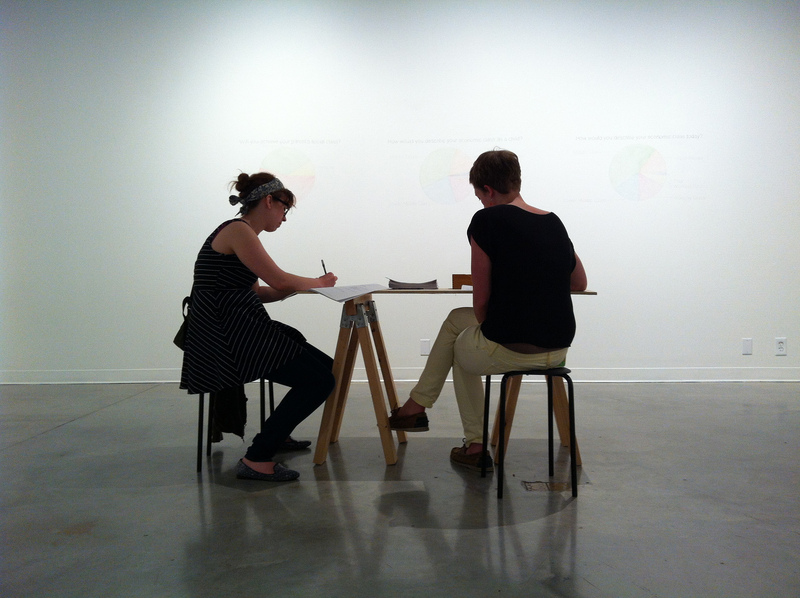 As a first step, this survey will provide us a baseline of data and stories. We imagine this information laying the groundwork for future workshops, visualizations, and conversations that probe our structures of support. In the survey we ask questions in four categories: Self Support, Space & Place, Others in your Life, and Quality of Life. 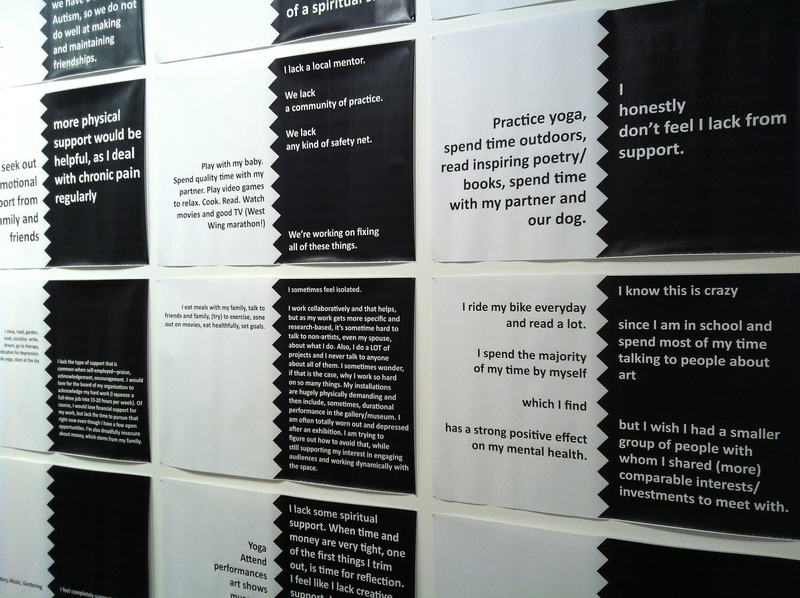 Much of what we have learned so far in our Structures of Support research — including wall drawings, visualizations, and posters — was displayed in an installation as a part of an exhibition at the Katherine A. Nash Gallery at the University of Minnesota in Minneapolis from May 28th – June 15th. 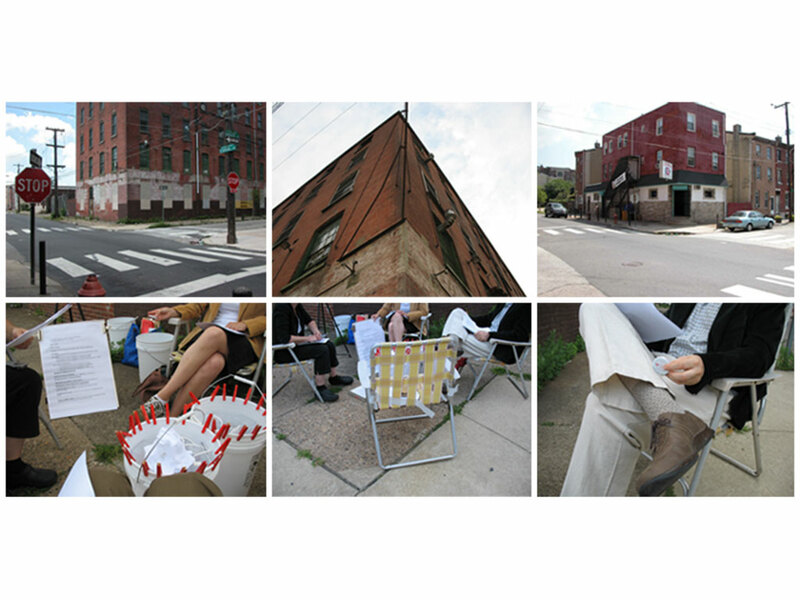 For six weeks in the summer of 2013, we had the opportunity to gather stories and host conversations on the structures of support in the Germantown section of Philadelphia during our project Germantown City Hall for the Hidden City Festival. 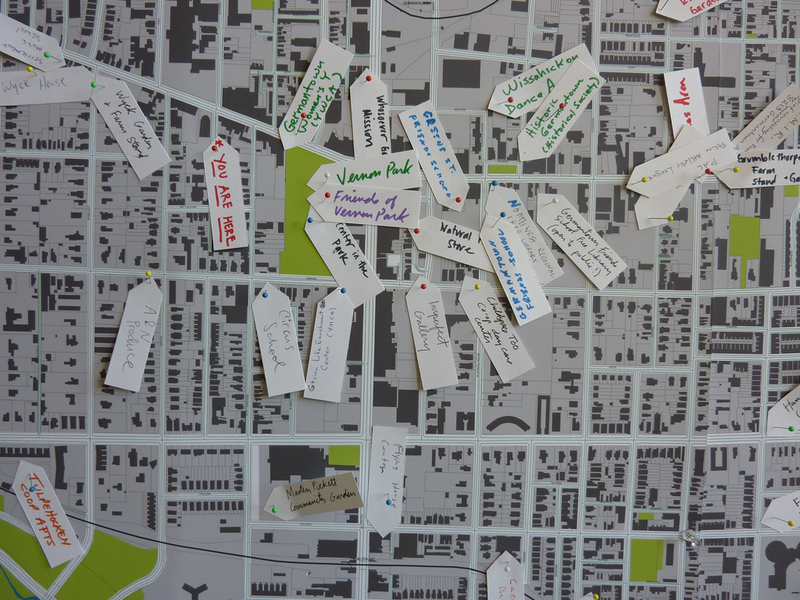 We brought many community members together in order to map past and current support networks and assets that might otherwise be invisible—things like informal civic groups, clubs, leisure groups, cooperatives, play groups, town watches, community gardens, and the like. Also, we continued to collect responses to the Structures of Support Survey via a paper version of the questionnaire. 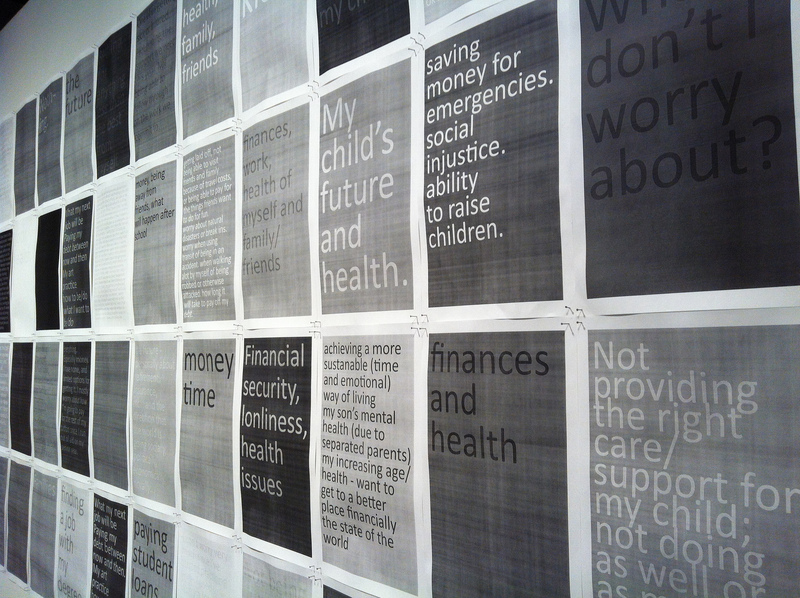 → We also asked neighborhood residents to reflect on the meaning of civic space for the community. Here are the video recordings of a select number of those interviews. This entry was posted in Projects and tagged community, economics, politics, structures_of_support on March 6, 2013 by admin. 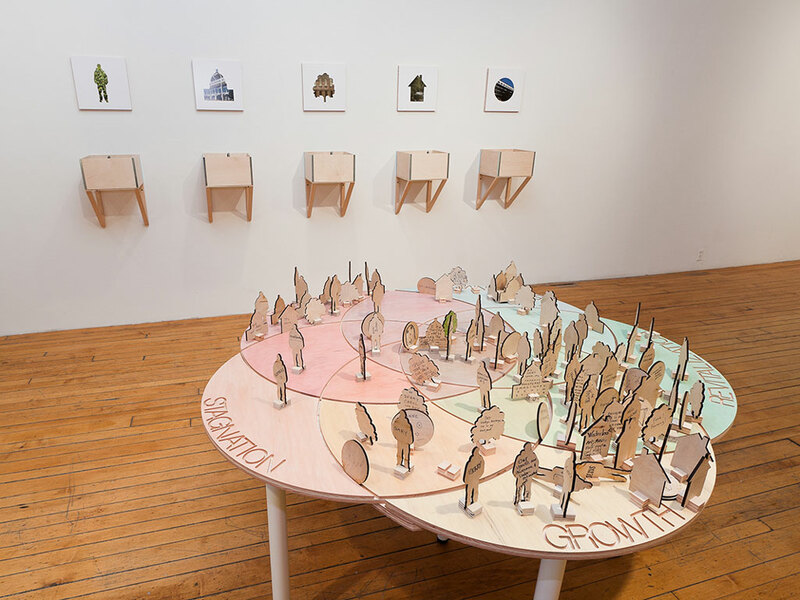 In a state far from equilibrium adapts the ecological model of forest succession in order to explore the ways in which cities change over time through a cyclical process of growth, stagnation, disaster, abandonment and revitalization. This project was created by Katie Hargrave, Meredith Warner, and Jeremy Beaudry for the exhibition "The Cleveland Convention and Visitors Bureau” at SPACES in May 2012. 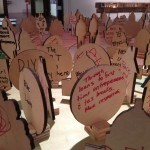 It was also exhibited at “Philly Works: Qualities of Life” at the Philadelphia Art Alliance in late 2012. 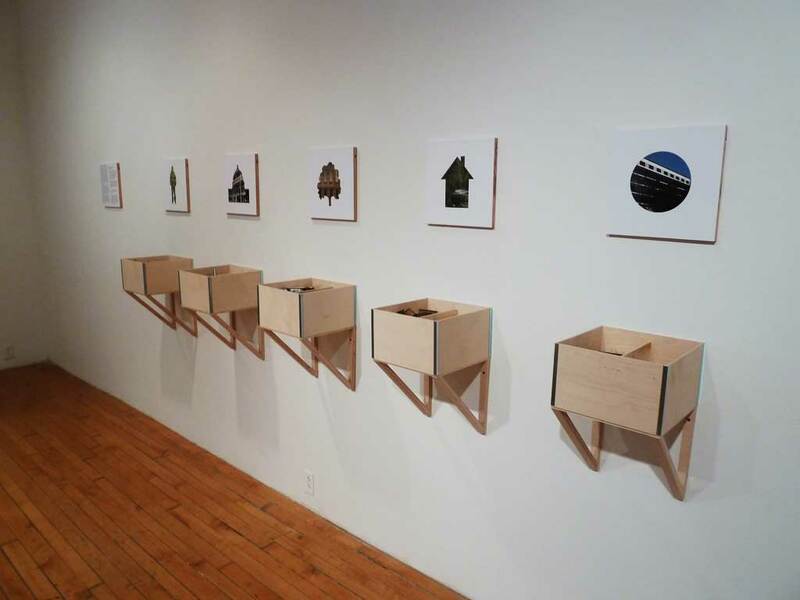 In a state far from equilibrium adapts the ecological model of forest succession in order to explore the ways in which cities change over time through a cyclical process of growth, stagnation, disaster, abandonment and revitalization. 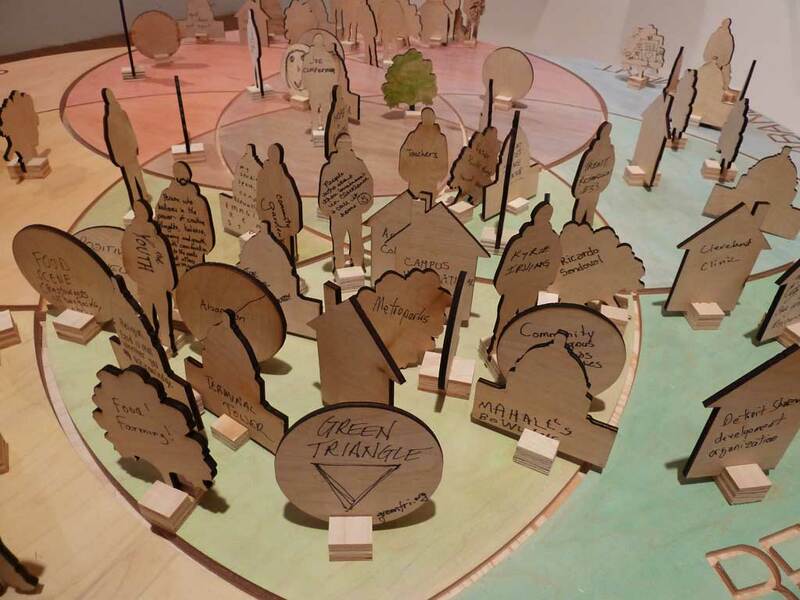 Visitors to the project are invited to play with a physical manifestation of the urban succession model and consider their own city and neighborhoods in light of this analytical framework. The Think Tank that has yet to be named created this project for inclusion in a group exhibition called “The Cleveland Convention and Visitors Bureau” at SPACES in Cleveland. 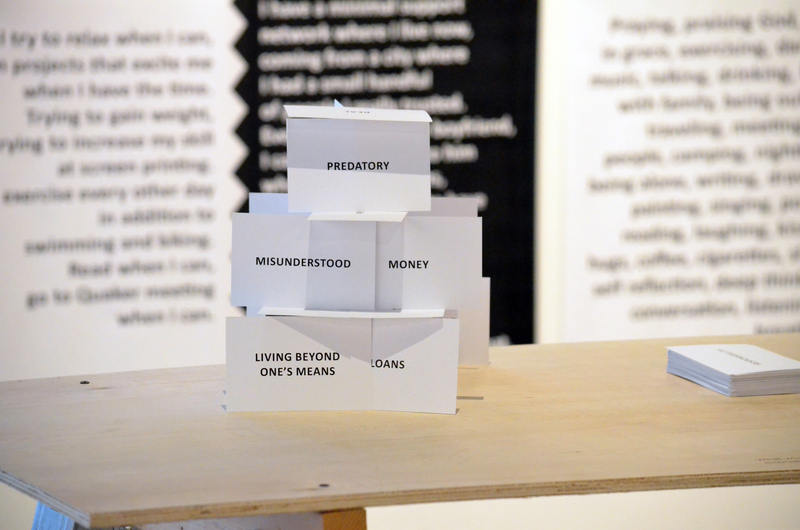 The project was then presented at the Philadelphia Art Alliance as part of the exhibition Philly Works: Qualities of Life in Philadelphia. As organisms and networks, cities live and breath, ebb and flow, change according to the myriad complex currents that are social, environmental, political, economic, historical, cultural, psychic, and so on. 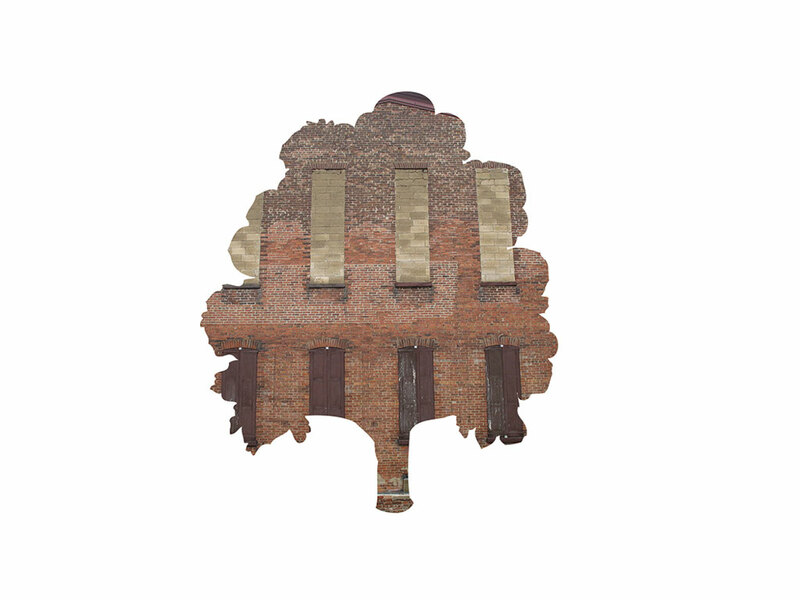 Buildings fall down, vacant lots become overgrown, and neighborhoods falter. People hold on, others leave; the same is true of institutions, businesses, entire ways of life. In the process called forest succession, catastrophe and disaster — whether caused by human or non-human forces — are catalysts for regeneration and reorganization. In this moment of environmental crisis, usually suppressed species of plants assert themselves and thrive in the cleared places where decimated trees and other vegetation once stood. The first signs of this regeneration are grasses, weeds, and fast-growing perennials, not majestic old-growth trees towering above. Slowly the forest evolves from weedy plants and brush to large trees. The forest is always changing; even a forest of 500-year-old pine trees will eventually fall, inviting new hardwoods to take their place. 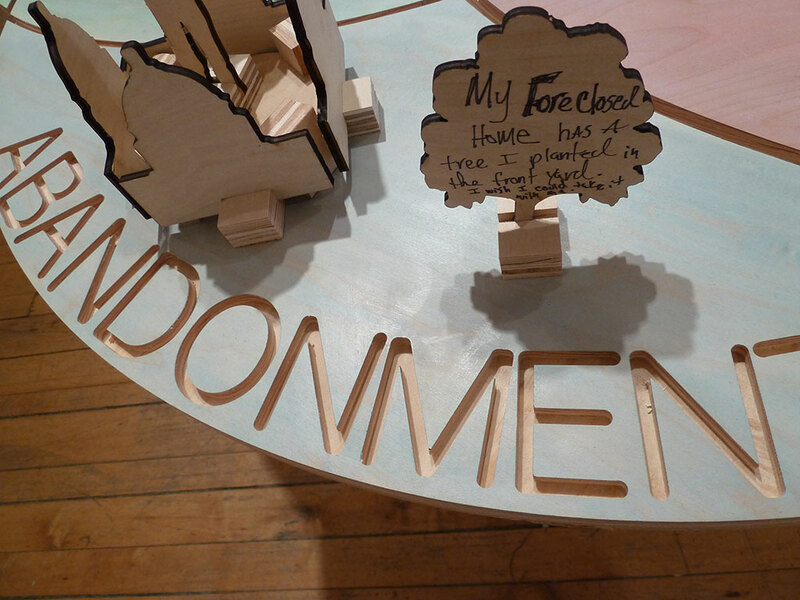 Imagine a process like forest succession occurring in cities: call it urban succession. A moment of stress is often a moment of transformation, an invitation for more agile and aggressive pioneer species to be the first to establish roots and claim the land. These colonizers will lay the groundwork for a changed landscape. In time, they may rejuvenate the ecosystem and usher in mature, healthy organisms, which grow tall and build strong foundations for future generations – that is, until, as the cycle dictates, a new disturbance advances the process again. Urban succession describes a state of continual change, a constant state of flux. We exist in a state far from equilibrium, with a torrent of forces swirling around us, changing our lives, our environment, and our universe. The occasion of disturbance in the urban environment, while devastating and demoralizing, can be viewed as an opportunity. It is a call to collective action that beckons individuals to become engaged subjects who strive to make (and remake) the world as they want it to be. Philadelphia is — as it has been throughout its history — at such a crossroads. Institutions are faltering, people are leaving, and it appears that the economic and civic foundations of yesterday are in decline, or at least tenuous. The cycle of transformation we propose in our model of urban succession is visible in the landscape itself. It can be seen in the bifurcation of Chinatown by the Vine Street Expressway; in the rapid wave of gentrification exploding outward from the city center; in the doubling down on extravagant starchitecture such as the Barnes Foundation on the Parkway; and in the unimaginative building of a casino on our abandoned waterfront, cynically named to reference a long-gone industrial past. Who and what held these landscapes in their previous states? And what forces propelled them from one state to another? What will change the city tomorrow? What role will we play in guiding that transformation? We invite you to use this analytical tool and make visible this evolutionary process in order to see how abandonment and regeneration are possibly related. Over time, watch the system in the model grow, look for patterns, and build a baseline of understanding that might inform future actions in the city. 1. Think of an agent, actor, or force for change in the life the city as you see it. Who or what shapes the city? Who or what drives changes here, both positive and negative? Who or what impacts you and your fellow citizens’ quality of life in this city? 2. Now, choose the category of game piece that best describes the agent, actor, or force that you have thought of. Choose from Nature, Institutions, Built Environment, People, or none of these. 3. 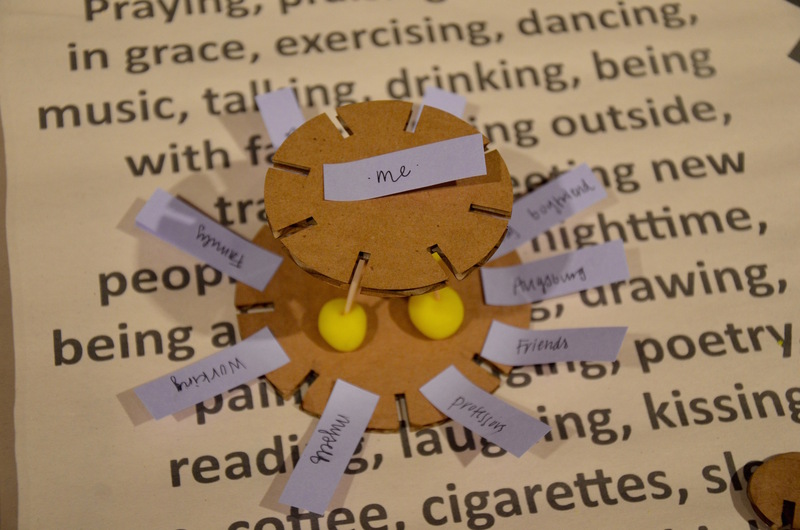 Write a description of the agent, actor, or force for change on the game piece. 4. 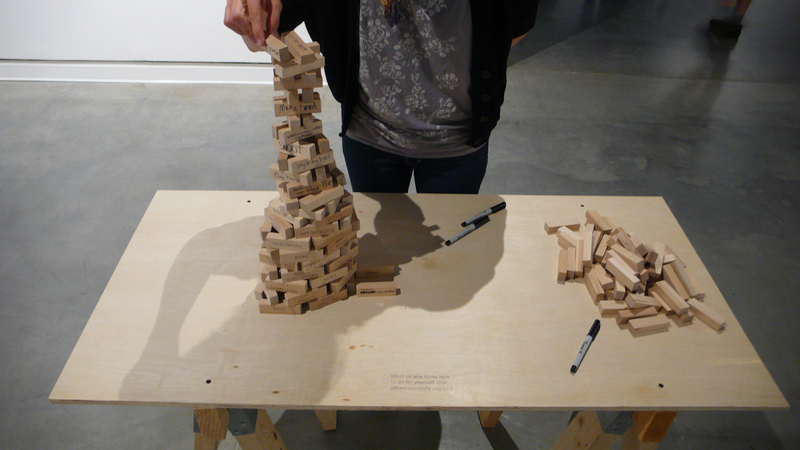 Take your game piece and place it somewhere within the urban succession cycle diagrammed on the table top. Does it belong in Growth, Stagnation, Disaster, Abandonment, or Regeneration — or somewhere where these overlap? 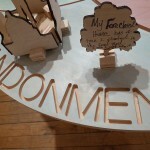 This entry was posted in Projects and tagged politics, tools, urban succession, urbanism on September 15, 2012 by admin. 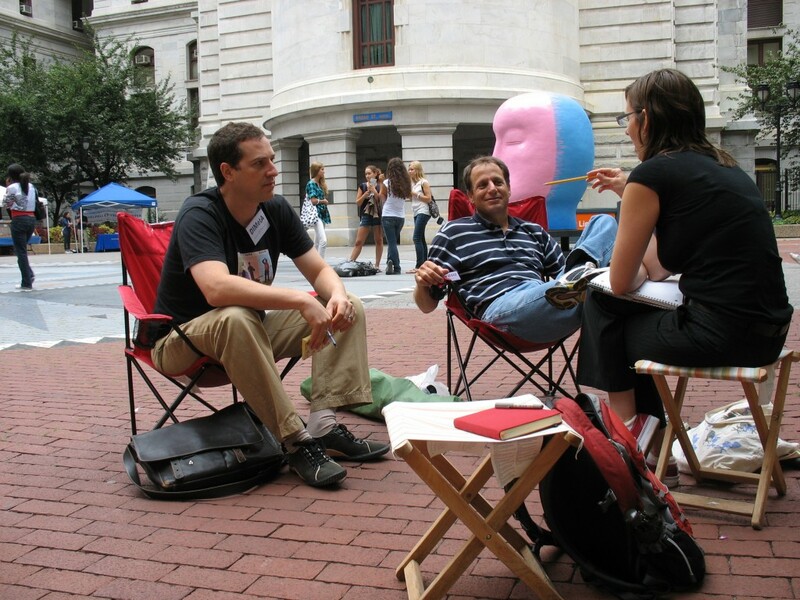 During the first years of the Think Tank that has yet to be named, the Publicly Held Private Meeting was a format we often used to investigate with others pressing and localized issues within the space of the city. 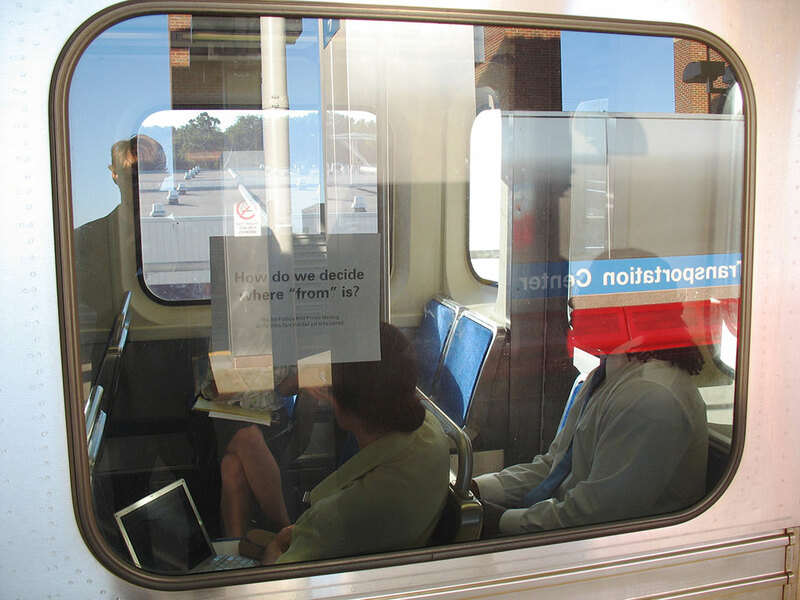 These conversations were performative, collaborative, and site-specific interventions organized according to the logic of the absurdist bureaucracy that once characterized the Think Tank. What Happens When Governments Collapse? What Happens When Governments Collapse? 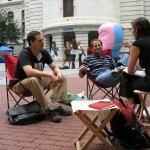 convened on September 9, 2009 in the courtyard of Philadelphia’s city hall to explore the possibility of government shut down in the midst of the global economic crisis. 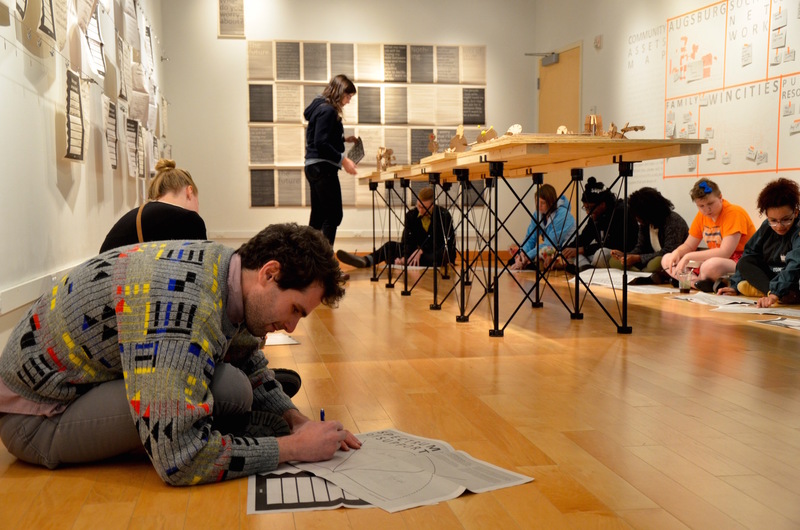 Participants included Jethro Heiko, Meredith Warner, Jeremy Beaudry, and Mike Seidenberg. Scrutinizing the Cartography of Talent convened on May 22, 2007 outside a lecture by Richard Florida, who first theorized and describe the Creative Class. It was a conversation about the utilization and marketing of the creative city and the artist as an economic savior. 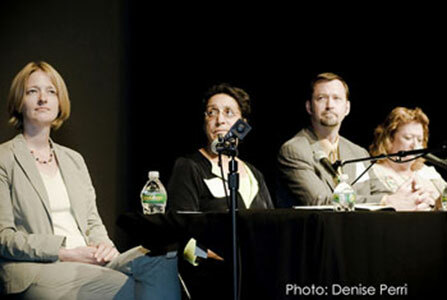 The conversation was initiated by Meredith Warner and included Jeremy Beaudry, Lena Helen, and Kenny Deprez. So What is Metaphorical Agency Anyway? So What is Metaphorical Agency Anyway? occurred on December 26, 2006 on the sidewalk in front of vacant riverfront site in Philadelphia, Pennsylvania. 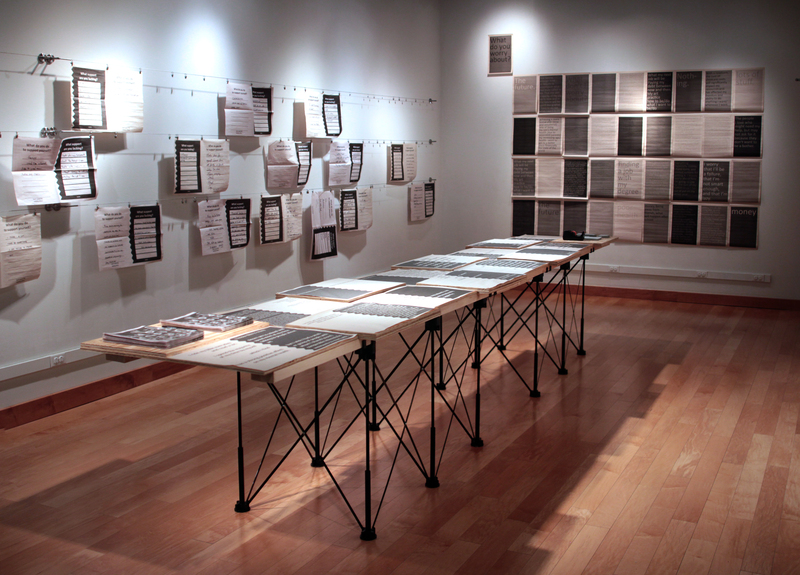 The conversation investigated the use of metaphor to narrate social movements and complex political problems. The conversation was initiated by Jethro Heiko and included Meredith Warner, Jeremy Beaudry, and Kenny Deprez. How do we decide where “from” is? How do we decide where “from” is? 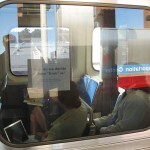 was held on August 20, 2006 in a moving train car of the Market-Frankford El in Philadelphia, Pennsylvania. 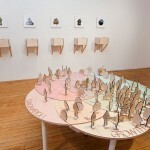 The conversation was initiated by Jeremy Beaudry and included Lena Helen, Meredith Warner, and Sharif Pendleton. 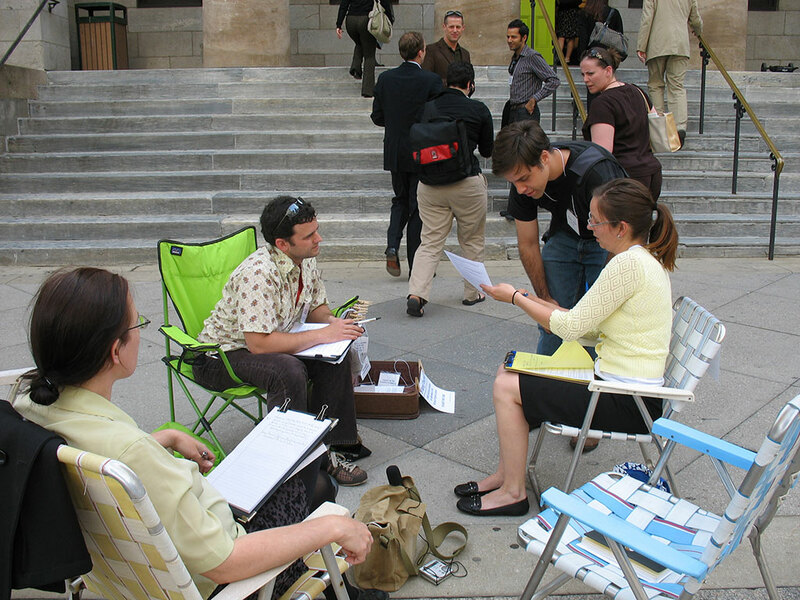 On the Sidewalk with Lawn Chairs Looking Professional explored the role of artists in communities and their relationship to gentrification and economic development. 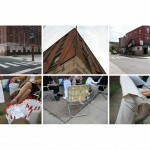 It was held in the Kensington section of Philadelphia on July 11, 2006. 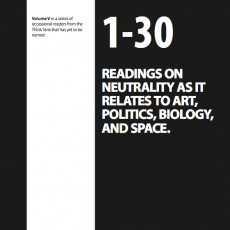 The conversation was initiated by Lena Helen and included Jeremy Beaudry, Jethro Heiko, and Meredith Warner. 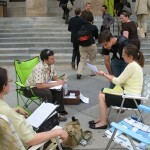 This entry was posted in Projects and tagged activism, art, community, conversation, politics, urbanism on September 10, 2009 by admin. Dissecting the Sector was an intervention within a larger community conversation called “Culture, Creativity and the City.” This project asked the question “Can art cause harm?” as a way to open a conversation about the use of art as a tool for revitalization and community development. It was conceived of by Meredith Warner and supported by Jeremy Beaudry and Jethro Heiko. 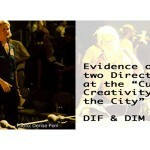 On September 9, 2007 a “Town Hall Meeting” was hosted at the Painted Bride in Philadelphia called “Culture, Creativity and the City.” The event was described as “a rousing and important community dialogue began. At the heart of this dialogue were many of the core questions and ideas about how we, as Philadelphians, can harness the energy of the Creative Sector to consolidate Philadelphia revitalization and create the conditions to drive the economy.” This event related directly to the Think Tank’s previous investigation called “Scrutinizing the Cartography of Talent,” a Publicly Held Private Meeting. 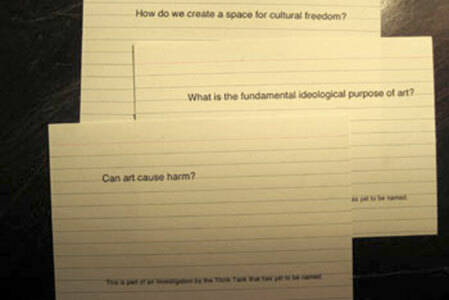 The Think Tank drafted a series of questions that were printed and distributed on notecards at the event. 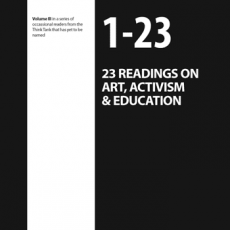 Questions included: What is the fundamental ideological purpose of art? How do we create a space for cultural freedom? 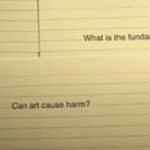 Can art cause harm? The stack of questions was passed to the moderator during the panel discussion and the last question, regarding harm, was asked of the panelists. The questions themselves were conceived of in response to author Julian Stallbrass being interviewed on Against the Grain. The questions were derived from his thoughts on the subject of art and commerce. Listen to the moderator ask the question here. At the “Culture, Creativity and the City” event, an audience member passed in a comment that “Philadelphia should become the Creative Capital of the East Coast.” When read to the crowd, it was followed by a bolstered cheer. But Philadelphia has been the murder capital of the East Coast. Doesn’t that count for anything? If there is a direct correlation between the well-being of a city and the amount of public art made available to its citizenry, then how it is that Philadelphia, which boasts more public art than any other city in the nation, is also leading the nation in murder? Either the correlation is false, or the art that is being implemented for this purpose is a failure. 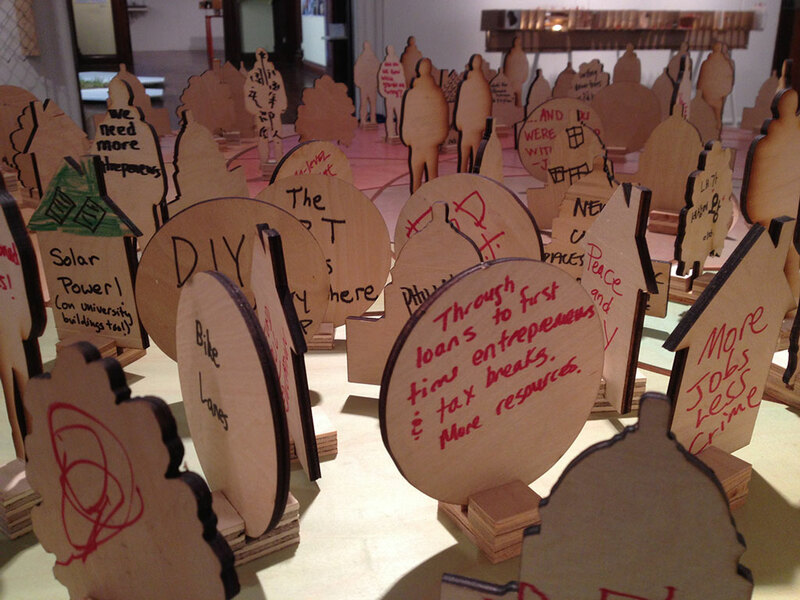 Is the notion of the “creative economy” nothing more than a scrim? What hides behind that scrim, who is directing the backstage? 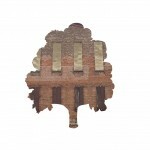 Who benefits from the thin veil of our city’s arty surface? And what is really happing in Philadelphia when you peek behind the art to see the city for what it is? This entry was posted in Projects and tagged art, community, economics, gentrification, philadelphia, politics on September 16, 2007 by admin. The Coalition of Inquiry into the State of the Future was a Public Hearing held at the Institute of Contemporary Art in Philadelphia as part of the "Locally Localized Gravity" exhibition in March 2007. The dialogue was an investigation of the language used to describe the state of Philadelphia and its future, as put forward by the ICA and other journalistic and cultural institutions. 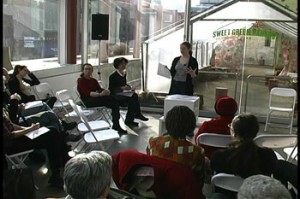 The project was conceived of by Meredith Warner and Lena Helen together with Rozalinda Borcilla, Sarah Lewison and Julie Wyman (as Be Like Water). On Saturday, March 10, 2007, the Coalition of Inquiry into the State of the Future held a Public Hearing to gather facts, information and testimony as part of an investigation into the propagation and circulation of the allegedly misrepresentative language that has appeared in the public and journalistic record. The audience was invited to be investigators, offer evidence, and act as a witnesses throughout the proceedings. The nature and demographics of the city of Philadelphia. The transparent and participatory nature of certain institutions and current and future initiatives associated with the city of Philadelphia. 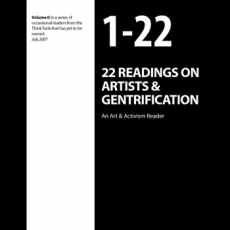 The condition for artists and cultural workers in the city of Philadelphia. The condition and status of working people and/or residents of the city of Philadelphia. The nature of democracy and democratic process. 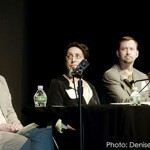 The following witnesses provided testimony: Carolyn Thomas, Philadelphia resident, featured in documentary “All for the Taking”, Nijmie Dzurenko of the Media Mobilizing Project, Mark Warshaw an Organizer for the Pennsylvania Association of Staff Nurses and Allied Professionals, and Rozalinda Borcila, artist and participant in Locally Localized Gravity exhibition at ICA Philadelphia, co-author of “Past Futures”. 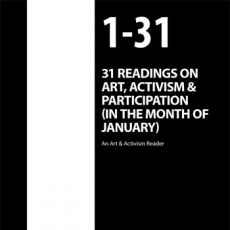 The Coalition of Inquiry into the State of the Future is an effort established by Invested Artists, Activists and Social Thinkers. Lena Helen and Meredith Warner acted to represent the Think Tank that is yet to be named, with the support, testimony, and submitted evidence of Jeremy Beaudry and Jethro Heiko. They acted together with BLW (artists Rozalinda Borcila, Sarah Lewison and Julie Wyman). 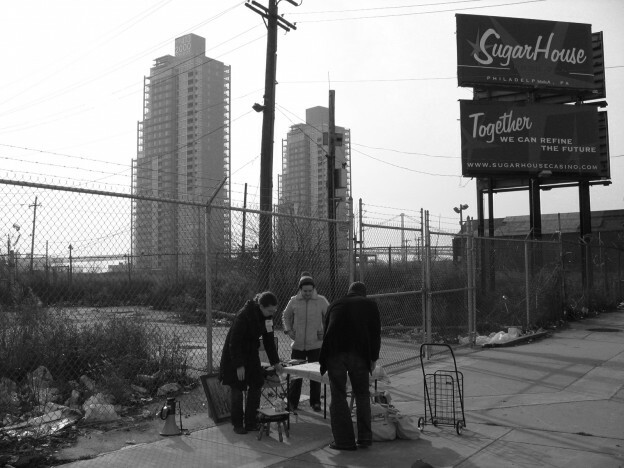 This entry was posted in Projects and tagged community, gentrification, performance, philadelphia, politics on March 29, 2007 by admin.